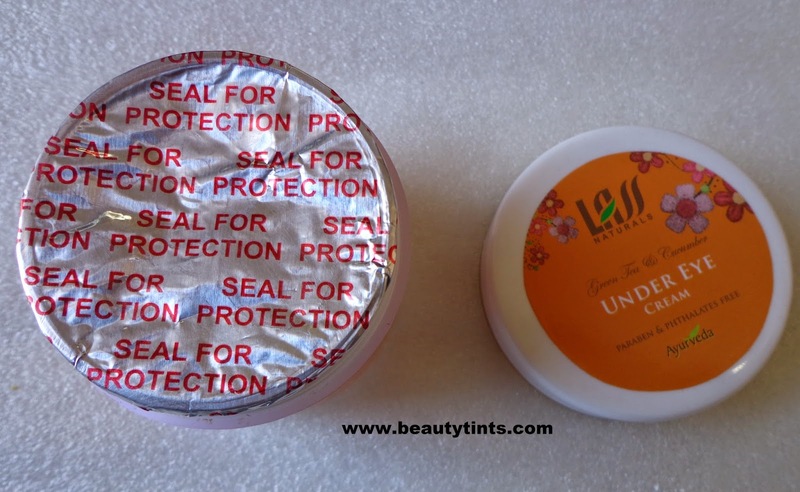 Few days back I reviewed the Lass Naturals IHT 9 Neem Wood Comb and today I am reviewing one more product from the Lass Naturals which is their Green Tea &Cucumber Under Eye Cream. 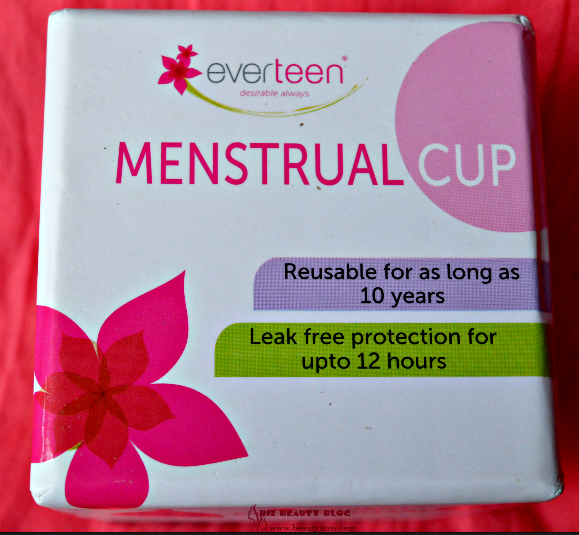 Packaging : It comes in a white & orange colored tub packaging with screw cap and similar outer carton. 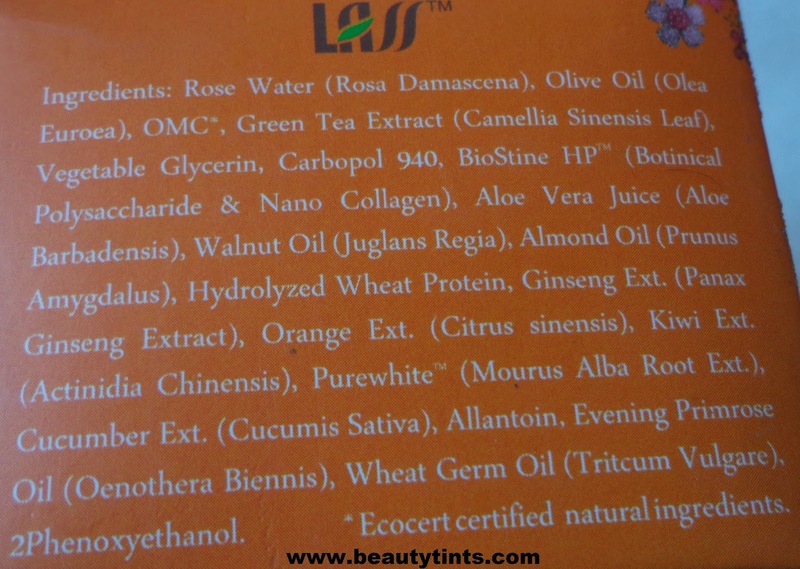 About The Brand : Lass Cosmetics was born with the sole objective of providing consumers the natural yet powerful alternatives to mass produced, synthetic chemical cosmetics. 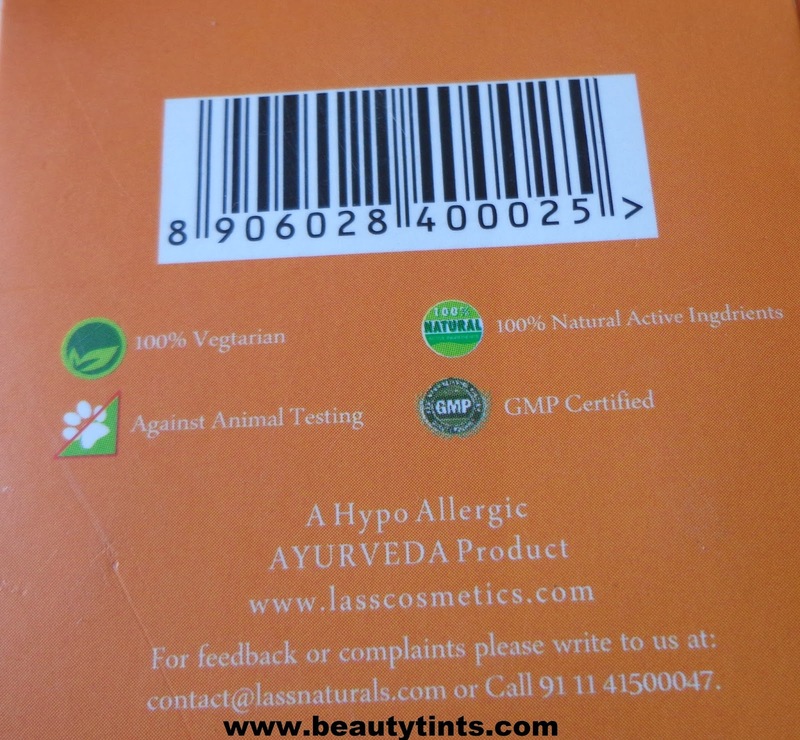 Fortunately, nature has provided India with an abundance of plants, roots, flowers & herbs rich in vitamins, enzymes, proteins, minerals & other biologically active compounds that have been used in the care of the body, skin & hair for centuries. 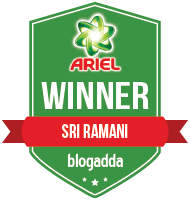 We have used this knowledge to give to the world, products which have a blend of rare Indian herbs, science of Ayurveda & modern production technologyNatural is Beautiful Forever! Nature has bestowed upon India an invaluable treasure in the form of herbs. Ayurveda, the ancient Indian science of life, has been using the herbal resources.To know more about them Check out their Website and Facebook page here. Availability : Available from few online stores.You can buy it from here and here. 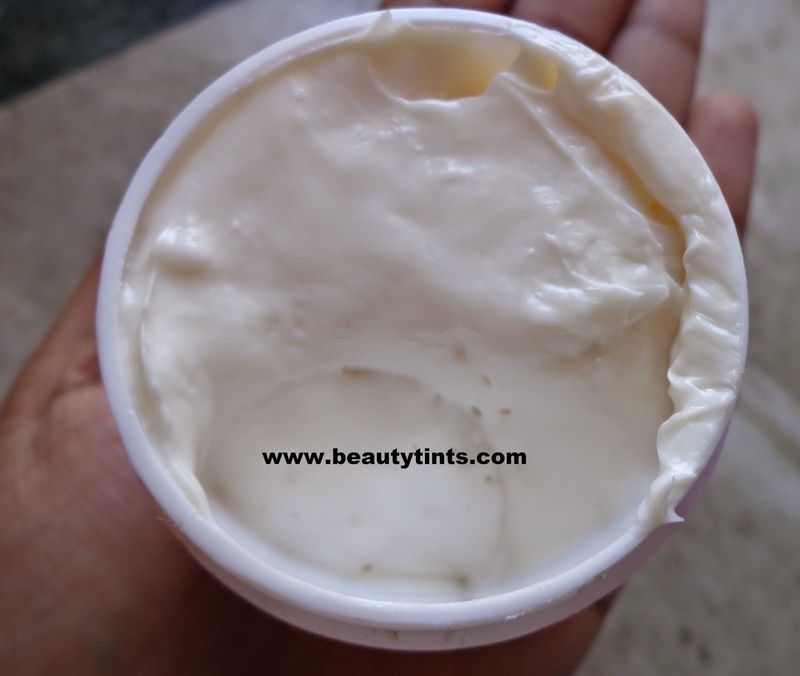 Color and Texture : This is a pale white colored cream with medium consistency. 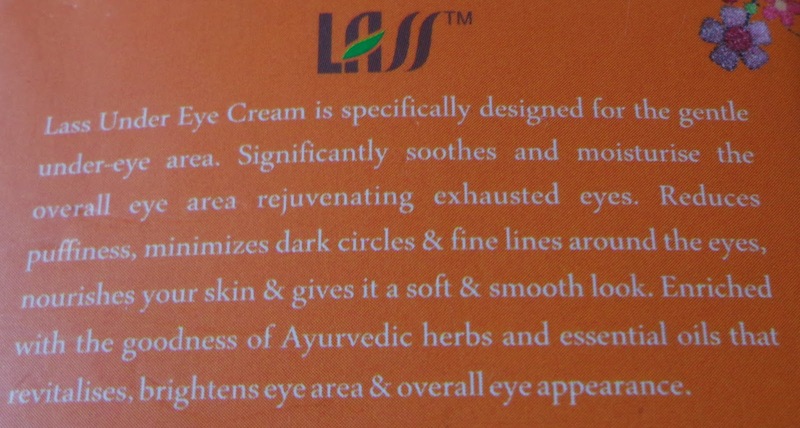 Lass Under Eye Cream is specifically designed for the gentle under-eye area. 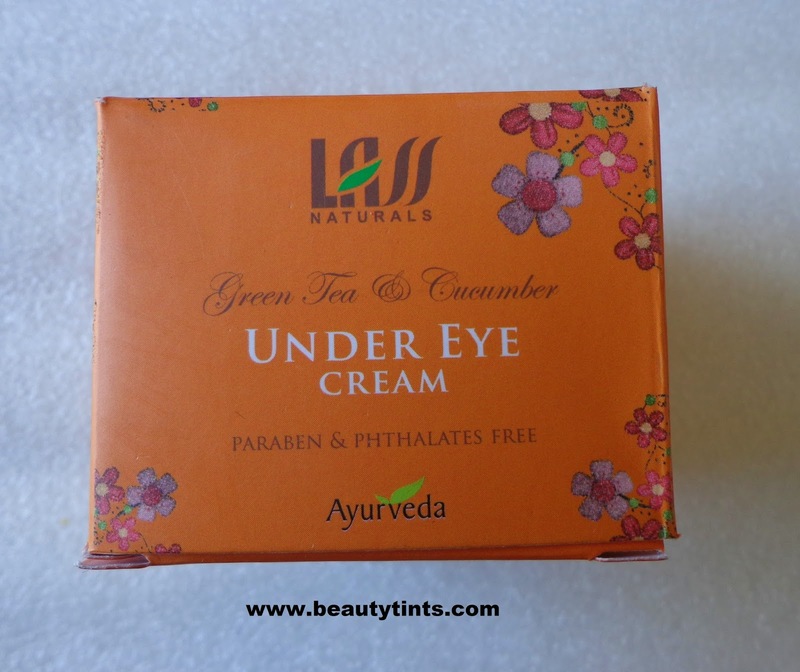 Significantly soothe and moisturize the overall eye area rejuvenating exhausted eyes. 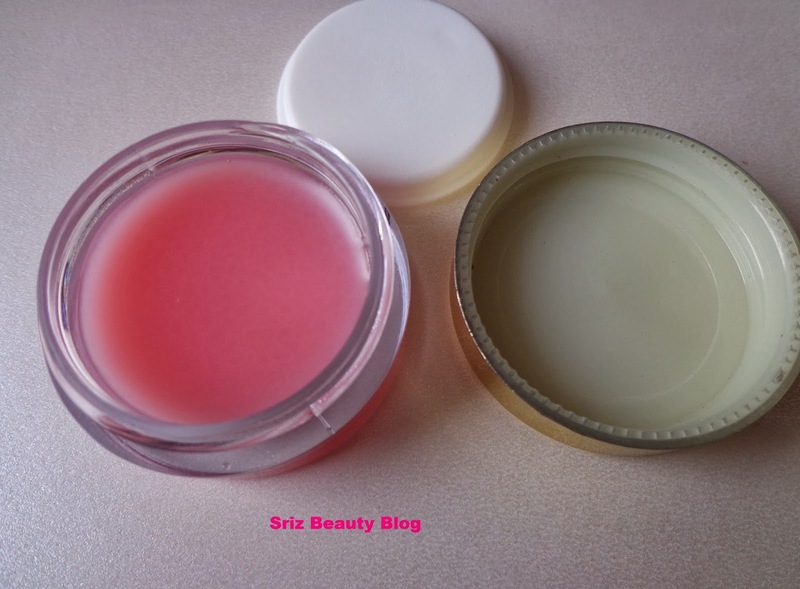 Reduces puffiness, minimizes dark circles & fine lines around the eyes, nourishes your skin & gives it a soft & smooth look. 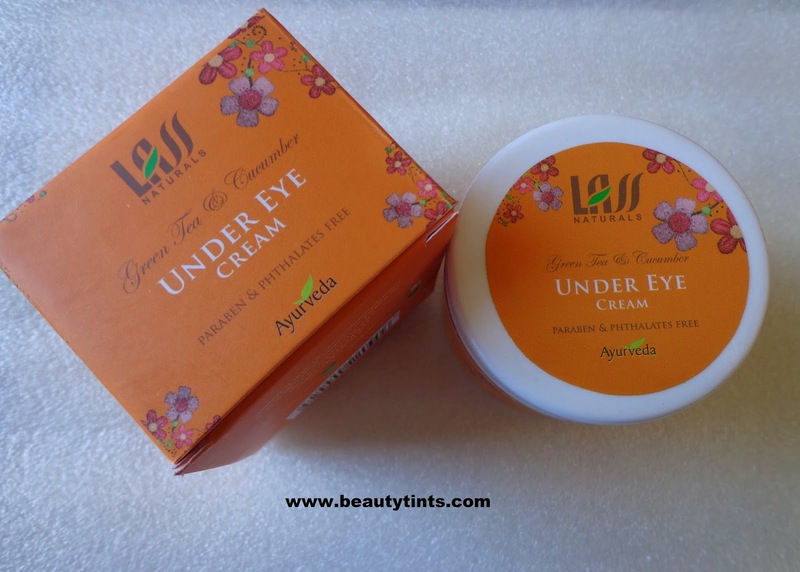 Enriched with the goodness of Ayurvedic herbs and essential oils that revitalises,brightene eye area & overall eye appearance. 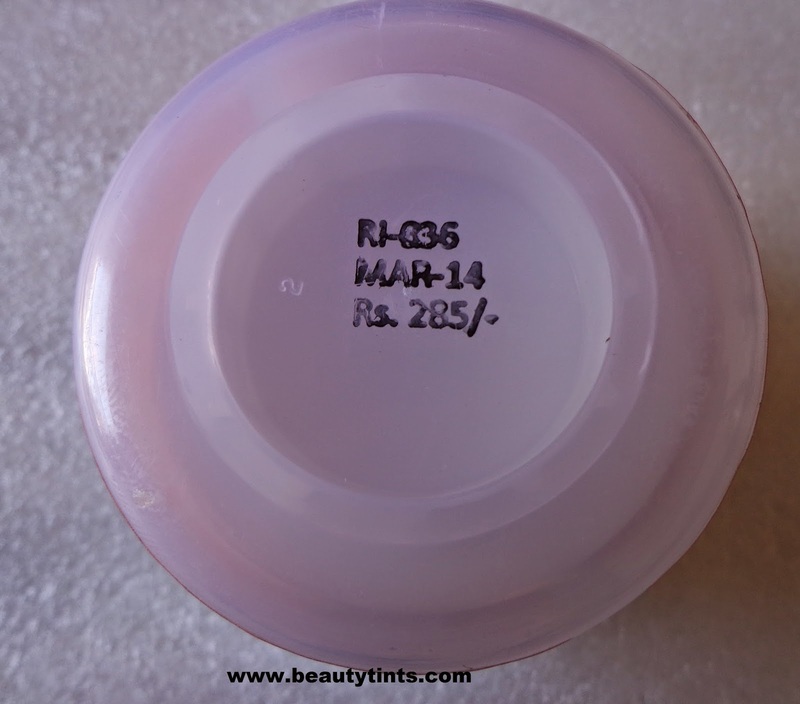 Ingredients : Rose Water (Rosa Damascena), Olive Oil (Olea Euroea), OMC*, Green Tea Extract (Camellia Sinensis Leaf), Vegetable Glycerin, Carbopol 940, BioStine HPTM (Botinical Polysaccharide & Nano Collagen), Aloe Vera Juice (Aloe Barbadensis), Walnut Oil (Juglans Regia), Almond Oil (Prunus Amygdalus), Hydrolyzed Wheat Protein, Ginseng Ext. (Panax Ginseng Extract), Orange Ext. (Citrus sinensis), Kiwi Ext. (Actinidia Chinensis), PurewhiteTM (Mourus Alba Root Ext. ), Cucumber Ext. (Cucumis Sativa), Allantoin, Evening Primrose Oil (Oenothera Biennis), Wheat Germ Oil (Tritcum Vulgare), 2Phenoxyethanol. Directions for Use : Clean under eye area with warm water. 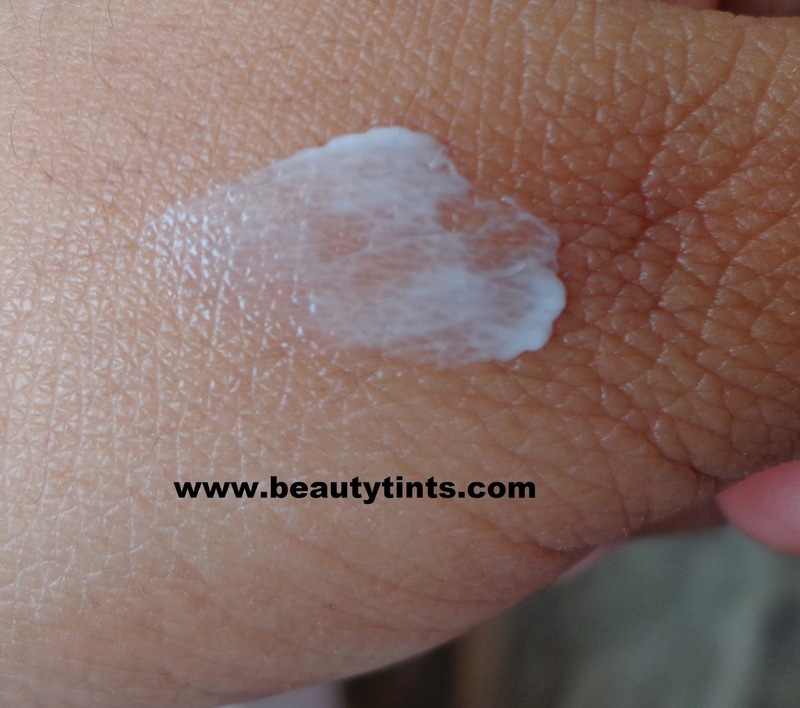 Pat a pearl size amount under and around eyes morning and night. 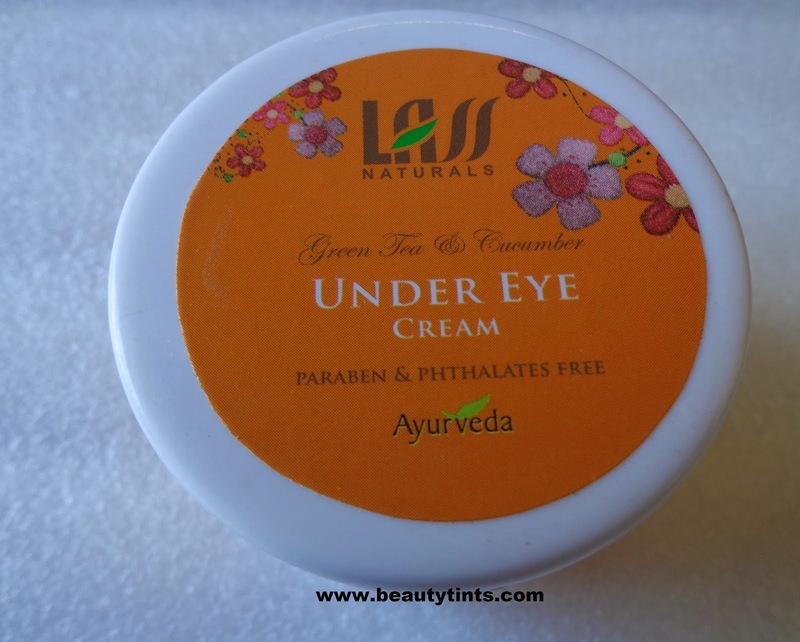 My Views On the Product : I have been using this from past 2 weeks and this is one of the best eye creams I have tried so far.This cream spreads easily and needs a bit of massaging to get completely absorbed into the skin.It is not heavy or greasy.It moisturizes and hydrates the under eye area very well.It helps in reducing the puffiness of eyes to a great extent.This can be used under make up as it acts as a good base.I am suffering from severe dark circles these days due to lack of proper sleep and have fine lines too and I did not see any difference in them,as it was only 2 weeks since I am using this cream,may be it need some more time to show the result.So,I cannot say much about its action in reducing dark circles and fine lines.But this cream will surely help in rejuvenating the tired and dull eyes.It is loaded with the goodness of Rose water,Olive oil,Green Tea,Cucumber,Aloe vera and many other important and beneficial ingredients and is free from harmful parabens & Phthalates.It is against animal testing.Very little amount is needed every time and one tub will lasts easily for more than 3 months which makes it an affordable option.The tub packaging is one thing which should be improved,as it is a bit unhygienic to use. 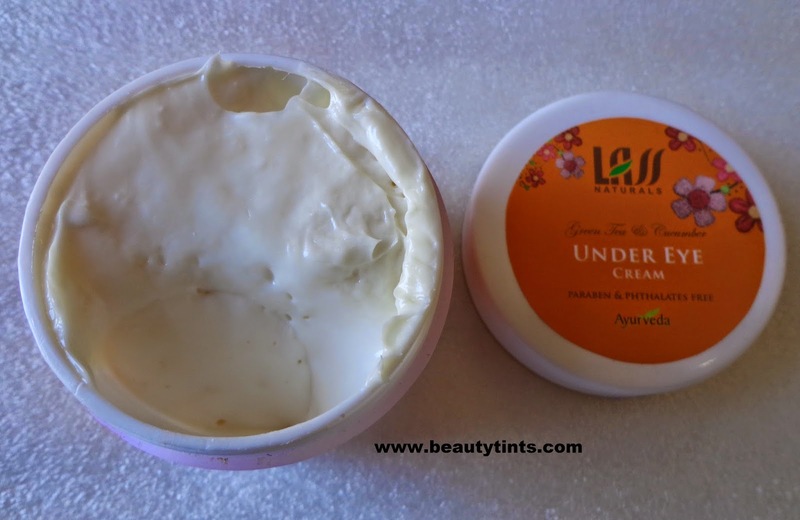 Final Conclusion about Lass Naturals Green Tea &Cucumber Under Eye Cream : Those who needs a 100 % organic, well hydrating and rejuvenating cream for the under eye area,should give this a try.This is the best option at an affordable price.